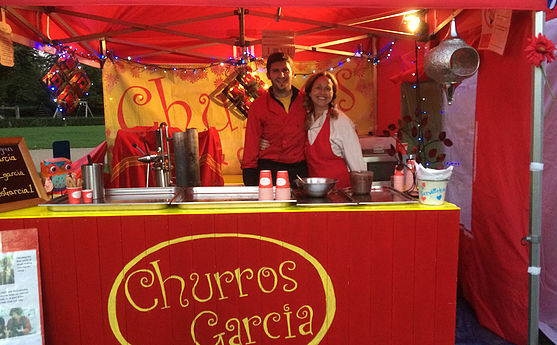 Churros Garcia, founded by the fabulous Leslie Garcia, serve up funky, utterly fabulous and truly authentic Spanish churros. The method of making quality, fresh churros has barely changed since Leslie’s mother, Encarnacion Garcia Fuenteseca, started up her churros business 50 years ago in Spain and her traditional methods are what have brought Churros Garcia so much success over 50 years later! The churros themselves are utterly divine. Crispy on the outside, fluffy on the inside and served with a pot of hot Valor chocolate. The Guardian voted them in their list of the top 10 street foods and to be honest, dessert really doesn’t get any better. They serve out of their gorgeous gazebo set-up and are always more than happy to give you and your guests a cooking demonstration. Book them for your next event right here!